The inspiration for today's mani came from some washi tape. 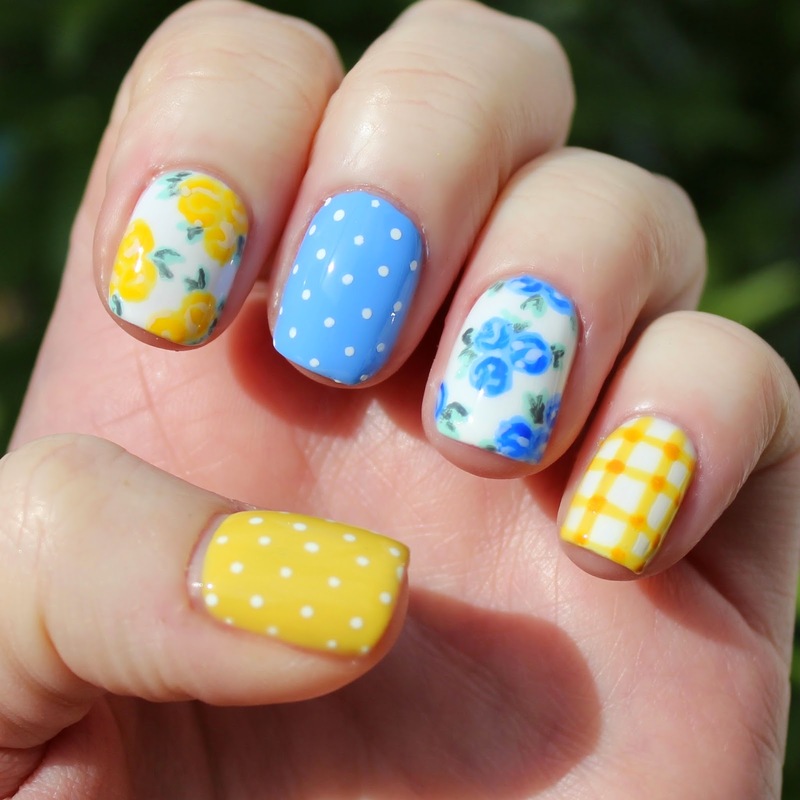 I was searching for some for my scrapbooking when I saw some really summery patterns that made me want to paint my nails! I didn't actually end up buying the tape as it was fabric rather than paper which isn't my thing but the patterns work really well as a fresh summer mani. The yellows and blues are perfect for this time of year, just before the weather gets neon hot. I used some Barry M polishes for this mani: Blues - Blueberry, Blue Grape, Eat My Dust* ,Yellows - Lemon Ice Cream, Yellow, Stop The Clock* Mustard*, Leaves - Pole Position*, Grey. I used my white nail art pen for the polka dots and a small brush for all of the other artwork. I've never been a huge fan of yellow and blue together but this looks really cute. Perfect for a spring/summer picnic. 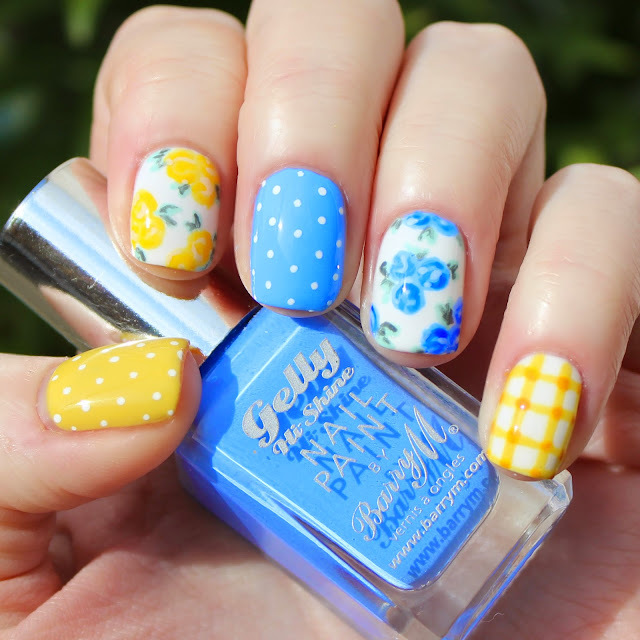 I really love yellow on nails and it looks really cute with the blue. 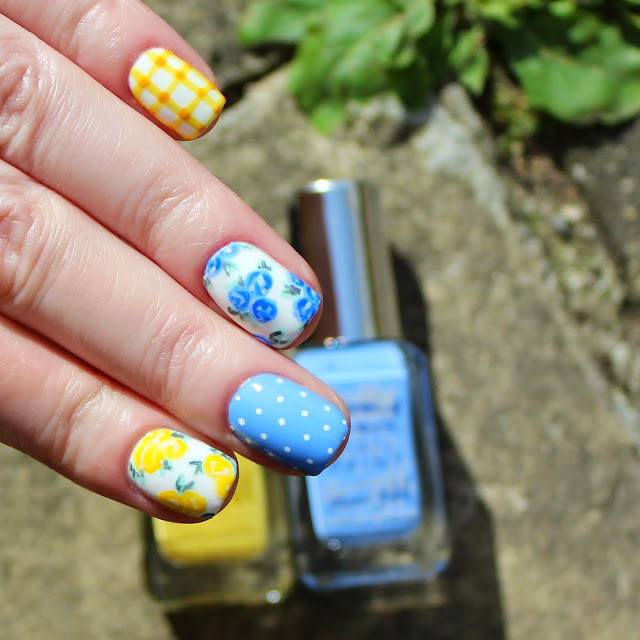 Such a summery, refreshing mani!